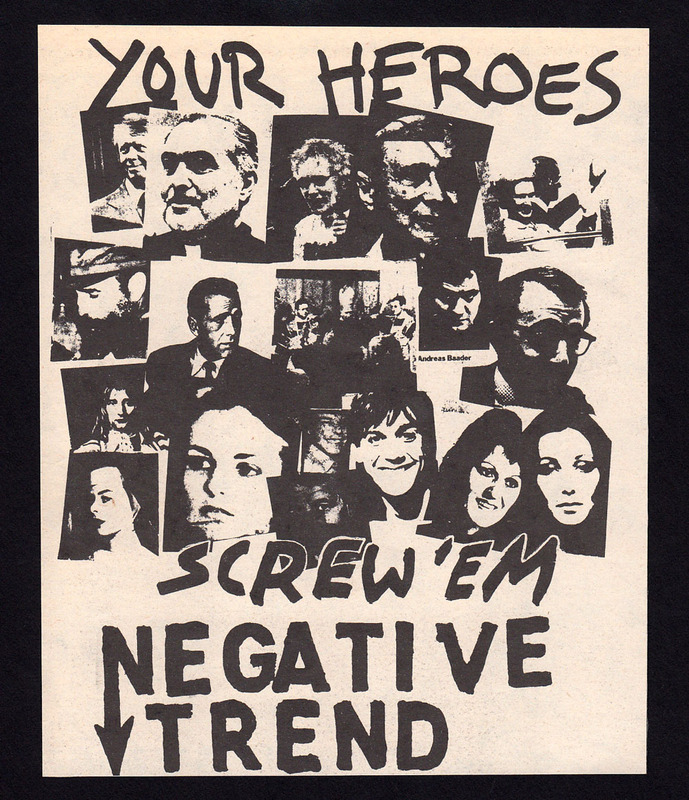 A public service announcement from Negative Trend! Measures roughly 5" x 7". Clipped from Search & Destroy (1978).